Qlik Sense is an easy to use visual analytics platform, with an excellent data discovery engine and good extensibility. This list of five alternatives contains products that have other strengths and may represent a better fit for some needs. Tableau is probably the highest profile visual analytics platform. It is not as sophisticated as Qlik Sense, but may appeal to users who have uncomplicated needs. Tableau comes as a single user workstation, an enterprise server edition or as a cloud service. Sisense majors on the speed of its platform, the ease-of-use, and its ability to handle complex data. It is also extensible and offers support for advanced analytics through R – although this may not be of interest to many users. In most cases, infrastructure costs will be less with Sisense, since it makes very good use of compute power. Microsoft Power BI is the rising star in the world of visual analytics. It comes as a Windows desktop app and a cloud service. The desktop app is free to download, but businesses will want to buy into the full service. Existing users of Microsoft technologies will choose this as a natural option, but it is also suitable for those with less commitment to Microsoft products. Spotfire offers an easy-to-use visual analytics platform that is also capable of accommodating very advanced forms of analytics. This is a higher end product with support for not only the usual graphs, charts and dashboards, but also advanced analytics, text analytics and statistical analysis. Enterprise users will also find the integration and event driven analytics products of TIBCO to be of interest. Logi Analytics not only accommodates visual analytics, but also satisfies the need for production reporting. The product is easy to use with a guided interface, and the considerable breadth of functionality is integrated via a ‘data hub’. 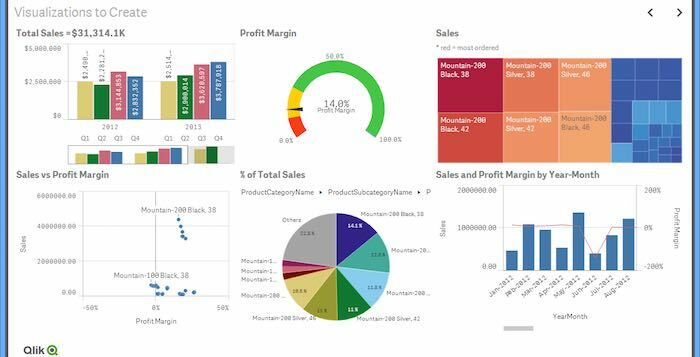 This is one of the few platforms that covers all aspects of enterprise visual analytics and BI.